See the rich TAG retirees, engineers we also please; Money goes to employees like it grew on Christmas trees; Precious left for we PEs, there is not to us appease; In our life of pain and misery, in our life of pain and misery! Yes, or at least, it’s brightening. We make this bold observation after attending the 2012 users’ group meeting for the PSCAD/EMTDC software, held March 27-20 at a little gem of a coastal town named Castelldefels in Spain. About 60 participants (eyeball count) from universities, manufacturers, utilities, sysops, sales reps and consultants gathered together for techno-talk on the decidedly geeky subject of power system transients and PSCAD applications. 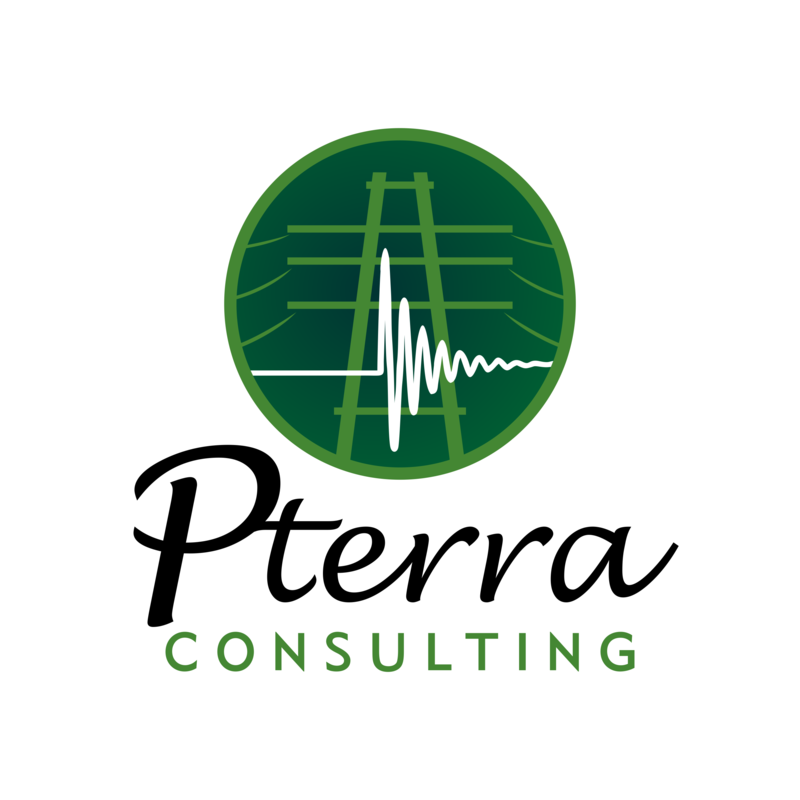 As an analytical consulting firm, Pterra regularly uses about half a dozen engineering software, and about the same number on an occasional basis, to be able to conduct its services. The software are necessary to be able to simulate complex physics and market conditions and/or large scale databases. In addition, we try to use the same software that our clients use so that part of our deliverable is an updated system model or database. Yesterday was the 7th anniversary of the founding of Pterra, LLC. The original team of 5 who started this journey remain, with some worthy additions. All have grown somewhat older, hopefully wiser, and after all the contingencies encountered through the years, more resilient and united as ever. Our core competencies remain the same: power engineering analysis, new technologies, modeling and simulation. But service applications have grown, from the initial focus on transmission planning and interconnection of new generation, Pterra now offers distributed generation studies, solar photovoltaic and wind power modeling, applications training, assessment for high voltage direct current transmission, expert witness, among others. No seven-year itch here. Just some wistful reminiscing and cautionary tales for the next 70 years. Overall, one can say that it is possible to follow the dream, to have a workplace adopted to family, health, faith, other life situations. Or, to use an electric power analogy: to be like a lightning arrester, withstanding the normal and continuous challenges and allow all other extraordinary surges to flow. PSLF now allows “continuous” tap solutions for phase angle regulators, or PARs. Why does this matter? It matters a lot to those who work in the U.S. Eastern Interconnection (EIC) where most utilities use the competing software package, PSS/E. On Nov 10, 2009, a massive power failure blacked out Brazil’s two largest cities and other parts of Latin America’s biggest nation leaving millions of people in the dark. Transmission connecting the large Itaipu dam to Brazil and Paraguay apparently tripped disconnecting some 17,000 megawatts of power. I was on Copacabana Beach years ago for a training course and can only imagine the disruption that the outage may have caused. A blackout in a major city is not a fun time. But blackouts are interesting to study. More often than not, the initiating cause is something innocuous, such as the infamous overgrown trees in the 2003 Northeastern US-Canada blackout. (An announcement just came out that the 2007 Brazil blackout that was blamed on hackers was due to sooty insulators!) So when the news report says, “A storm near the hydro dam apparently uprooted some trees that caused the blackout,” I am inclined to consider that the trees hit some transmission lines which could have led to the isolation of Itaipu. That’s not so far-fetched. You never know what a failure-bunching event such as the major storm that hit Itaipu could do to redundancy and good planning practice. Reliability is only as good as the next blackout! A science fiction writer once tried to sell the idea of a trip inside the sun as an “opportunity to view sunspots from behind.” It may not be comfortable, but the observations would be unique and would undoubtedly contribute to a better understanding of the phenomena. In a more practical sense, being able to examine complex structures from different vantage points — inside and outside, or close-up and from a distance — makes new insight possible, and hopefully, better understanding. phenomena. Equivalents or reduced models were necessary in the past when computers had memory restrictions and low speed performance. Nowadays, reduced models may be justified for the sake of simplicity and convenience as long as accuracy is not compromised.